To say the film lived up to its name would be an understatement. 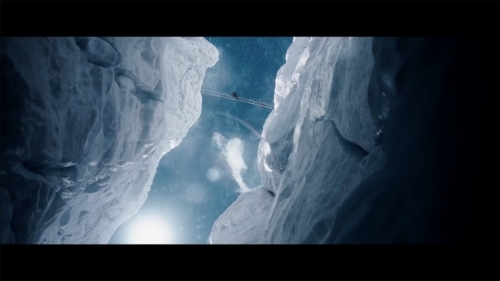 Everest guides the audience through the film from start to finish in an absolutely beautiful way. This past weekend I was reminded exactly why film is such an important thing in my life. Since I was a young child, I fell in love with film, more specifically films that could draw me into the world presented on screen. Everest was able to do this perfectly by exemplifying key factors that immersed me in the film. The carefully constructed characters were brought to life by one of the best ensemble casts of the year. Although, the real highlight of the film came from the breathtaking cinematography that was able to emulate the journey of reaching Everest’s summit. The film is a true story that chronicles a tour group as they prepare for their journey and eventually climb the tallest peak in the world, Mount Everest. Throughout the course of the film, the audience becomes acquainted with a lot of the characters in the group by learning what drives them to accomplish such a feat. Since the task is so difficult, they are met with quite a few roadblocks that provide for extraordinary instances of character development. While the first act primarily serves as an introduction to the plethora of characters present in the film, the second act delivers a character defining moment in nearly every scene. Most of the issues that the characters come across are weighted very heavily because of the harsh environment the film is set in; the characters true emotions and ideals come out instantly, allowing the audience to clearly see the characters for who they are. Yet, as the film progresses and each character is faced with more difficult choices, the morals that each started out with significantly change, no matter how dedicated they are to remaining true to themselves. Because the story relies so heavily on numerous plot points, their execution must be perfect. This challenge really falls on whether or not the actors can believably portray their characters. Fortunately, the director, Baltasar Kormakur, noticed this issue early on in development. 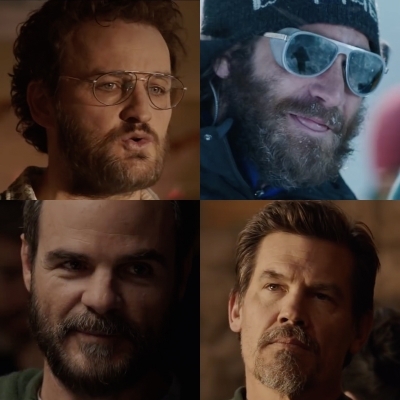 Instead of trying to rely on one big name actor to carry the rest, he decided to go with a strong cast whose performances would add to one another. In fact, there are truly unhappy points in the latter half of the film that brought most of the audience (myself included) to the brink of tears because of how powerful the actors were in expressing the gravity of the situation. While it is still very early in the film season, I think that several actors, most notably Jason Clarke, have a chance at an Oscar nomination. While it is already established how phenomenal the “traditional” characters are, its time to be a little more abstract and look at the true antagonist of the film, Mount Everest. In terms of aiding the story, the environment of the mountain certainly provided a wide collection obstacles for the characters to challenge themselves with. However, the true value of the mountain came in its ability to add an incredible sense of scope to the story, due to how beautifully brought to life it was through the cinematography and special effects department. In this day and age, good special effects are the norm in Hollywood films, and audiences do not comment on them unless they are blatantly horrible. However, Everest’s effects were notable because they were absolutely superb. There was not one point in the film where it was unbelievable that the story was happening on the tallest peak in the world. This was also because of the versatile cinematography that swept around the mountain and characters during the film, making the audience feel like they were able to explore every aspect of the scene, instead of being locked down to traditional angles. The combination of all these elements just provided an unbreakable illusion that allowed the audience to escape the real world and believe what was happening on screen was real life. In conclusion, Everest is the reason why film is such an extraordinary art form in its ability to disconnect the audience from reality. The numerous story obstacles affected the characters in a way that brought out the acting in one of the strongest ensemble casts in recent years. Yet, the real spectacle in the film was the way Mount Everest was brought to life. In fact, to truly feel the magnitude of the environment the film must be seen in IMAX 3D. Normally, I do not think the ticket prices are worth the extras the format provides, but you would be depriving yourself of a real experience if you do not see it in IMAX 3D. Everest is definitely one of the highlights in Cinema this year so far and earns a very solid 4 out of 5 Reels. If you had the opportunity to see the film, leave your responses in the comments or poll below. Thank you for visiting Celluloid Cinema. How many reels do you give Everest?